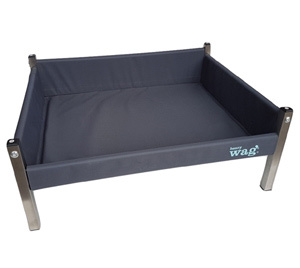 This stylish and durable Henry Wag raised dog bed with sides will be much more familiar to your dog than most hammock-style elevated dog beds on the market. 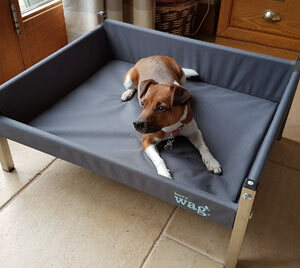 With its sturdy panel sides, your dog is safe and secure whilst also being off the cold or damp floor and out the way of draughts. 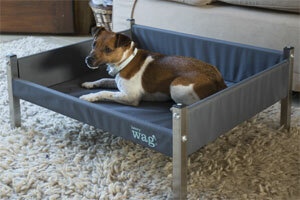 Raised dog beds also eliminate the condensation build up you often get under dog beds that are placed on the floor. The contemporary design of these raised beds looks great in any home. With a sturdy tubular steel frame and firm base, they are strong and durable. Your dog will be comfortable and supported. 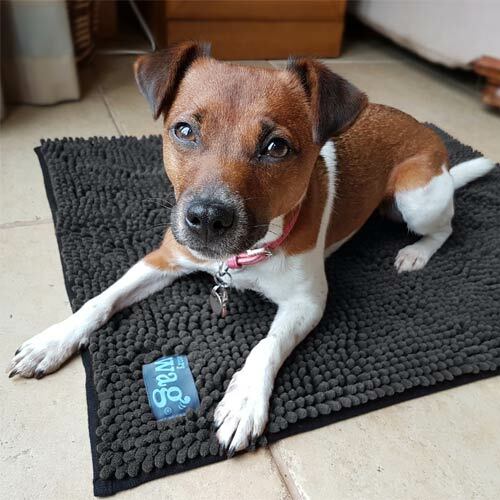 The tightly woven fabric cover does not absorb moisture from the dog and its quick drying surface reduces the build-up of bacteria, keeping your dog's bed fresher and odour free for longer. The fabric cover is detachable and can be simply spot cleaned / wiped down or completely removed from the frame for convenient machine washing. 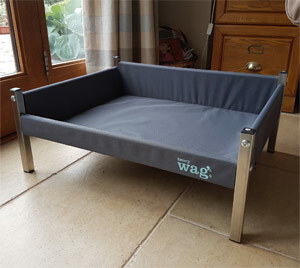 The wooden base insert provides support for the dog's back and hips. The raised design with panel sides ensures your dog is off the floor and protected from drafts. The elevated design also allows for air circulation, eliminating the condensation and dampness often associated with traditional dog beds. 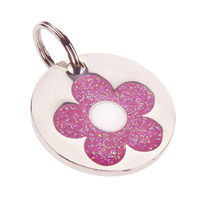 Your dog will feel cooler in the summer and warmer in the winter. We also love the fact that they are so easy to clean around and under. Perfect. 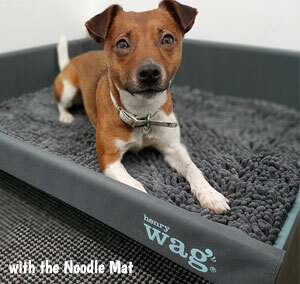 You may also like to add the highly absorbent Henry Wag Microfibre Noodle Pet Mat (pictured right) to your order for a hygienic and comfortable solution to protecting your dog's elevated bed from wet and mud. Spare / replacement covers available from the 'size' dropdown box.